2017, 2018 were excellent successful years and filled with exciting achievements! WELCOMING 2019 and looking forward to MORE thrilling performances! "HAPPY NEW YEAR" TO ALL!!! Vote Jakki Ford for the Forte Awards! It was so fun taking the audience around the world in just 80 minutes at the "Come Fly With Us" Show in Las Vegas, Nevada! Italy, France, Brazil, and New York were just a taste of the journey. Thanks to everyone who attended. Let's do it again sometime! Get in the Mood for Romance! GREAT NEWS! 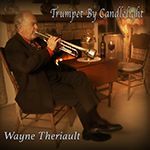 I am featured on two new beautiful songs from the new CD by master trumpeter Wayne Theriault titled "Trumpet by Candlelight!!!" The tracks are #4 ("What's New") and #8 ("One for My Baby"). It was such an honor to have been invited to be the only vocalist on this album. Now available on Amazon, and iTunes later this week! Click the link and take a listen!! EXCITING NEWS! I recorded 2 NEW SONGS on a new album by Wayne Theriault titled "Trumpet by Candlelight." It will be released and available for download on March 22nd, 2016 on iTunes, Amazon, and Spotify. I think you will thoroughly enjoy my renditions of Frank Sinatra's "One For My Baby" and Linda Rondstat's "What's New." I'm thrilled to have been asked to be the only vocalist on his album! Light the candles... and let's get romantic!! So grateful to have received this "Certificate of Appreciation" presented to me by Lieutenant Colonel, LG Commanding Officer Brian D. Kuhn of the Sierra Army Depot. I was delighted to have performed for a full-house for the Black History Month special event at the Sierra Army Depot Base in Herlong, California. 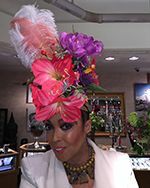 I sang and paid tribute to three legendary entertainers: Josephine Baker, Billie Holiday, and Lena Horne. Specials thanks to John Palamore, my music director, for the occasion!! 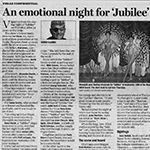 I'm delighted to have received an honorable mention in this article paying tribute to a 34-year run of the multi-million dollar stage spectacular, Donn Arden's 'JUBILEE.' The end of an era for the classic, glamorous, eligant, and talented, Flo Ziegfield-MGM showgirl. If you would like more information, please contact UNLV's Special Collections department regarding Las Vegas' entertainment history. Sad to See It All End But What a Major Triumph! 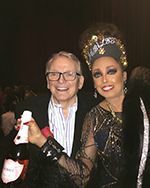 What a great evening celebrating 'JUBILEE' in the Champagne Ballroom at the Paris Hotel in Las Vegas, NV. Here I am happily posing with, Wade Abel, a fellow singing and dancing principal in our show!! SUCH TALENT! Free MP3 Download of 'Santa Baby' from Jakki Ford! A gift from me to all of my friends and fans! Merry Christmas, enjoy, and have a joyous New Year!! Merry Christmas and Happy Holidays! I will soon be performing again on January 22nd and 23rd in another zaney, comic production of the Sheep Dip Show!! This will be the 52nd year for this annual, local "roast" of politicians and businesses from the Reno area. We will be giving another award to the worst of the bunch! It is a fund raiser for local charities such as Evelyn Mount Community Food Outreach and Veteran's Honor Flight Nevada. Come have some fun!!! What a thrill it was to perform for 30 minutes as the OPENING ACT for the Legendary Comedian Actor BOB NEWHART!! With an amazing Big Band and a sold out Concert Hall at the Atlantis Hotel Spa & Resort, we left the wonderful crowd on their feet wanting MORE!! "ALOHA" to all my fans from MAUI!! New and exciting projects on the way for late March of 2015! Focusing on promotion and marketing for a few weeks... had a fantastic time singing in Ka'anapali, Hawaii. Working on writing my own original music and have started collaborating with another successful, professional songwriter. 2015 here I come!!! GREAT NEWS! MARTINI RADIO 105.3 FM is now LIVE STREAMING ONLINE! You can hear my music on your phones, your iPads, and on the Internet anywhere in the world!!! 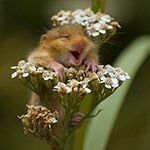 On Vacation til October! New upcoming events to be posted soon! 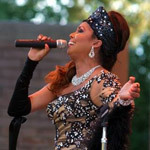 My Artown Festival concert, "Jakki Ford: Alive & Swingin'" at the Wingfield Park Amphitheater, was a huge SUCCESS!! With an audience of 800+, it was truly a most thrilling and memorable evening! At show's end, my audience did not want to leave! Thanks to Artown and all who attended! The energy, the love, and ovations, the dancers, the music, the Orchestra, my beautiful Angel Crew, the applause, warmed by heart and brought tears of joy to my eyes!! Together we made MAGIC!!! Check out my newest video on YouTube! Thanks to the hosts, Beth from Artown, and the crew for making this interview fun and delightful!! I attended the 22nd annual food and wine tasting fundraiser put on by the Rotary Club of Reno. 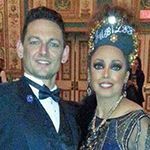 It was at the Downtown Reno Grand Ballroom, and what an evening it was! 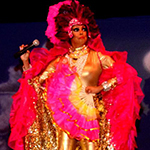 What a nice surprise to find a beautiful picture of me, in costume, in the March 9th Sunday Edition of the Reno Gazette-Journal. 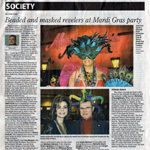 Thanks Johnathan L. Wright for the nice writeup! Now on Martini Radio 105.3 FM! GREAT NEWS!!! You can now hear songs from my new CD playing on MARTINI RADIO 105.3 FM. It's so wonderful to now be part of the Martini Radio Family! Jakki Ford: Alive & Swingin' Released! My brand new CD, Jakki Ford: Alive & Swingin', is now available on iTunes and Amazon.com! Get it today! Headed for the Big Apple! I'm headed for the Big Apple today! Doing some PR for my new Big Band Swing CD that releases November 4th! Just got them today!! Check my Facebook page, iTunes, Amazon, etc. within a few days! I will post when I return a date for my Reno CD Release Party soon! So stay tuned in!! I hope you all Love it! I will also be in the "Reno Tahoe Tonight Magazine" on November 2! More to come!! "Start spread'in the news!!" Jakki Ford: Alive & Swingin' Available on November 4th, 2013! GREAT NEWS!! I just wanted to let you guys know that my new CD, Jakki Ford: Alive & Swingin', will be available November 4th, 2013 on iTunes, Amazon.com and right here on my website! I will be having a CD release party soon, date to be announced! Hope to see you all there as we pop the champagne cork!! I've entered 3 songs from my soon to be released swing CD into the Sarah Vaughan International Jazz Vocal Competition. Please vote ASAP for each one, and tell your friends! Wish me luck!! And thank you for your loving support! Here are the links! Ways to Stay in Touch!